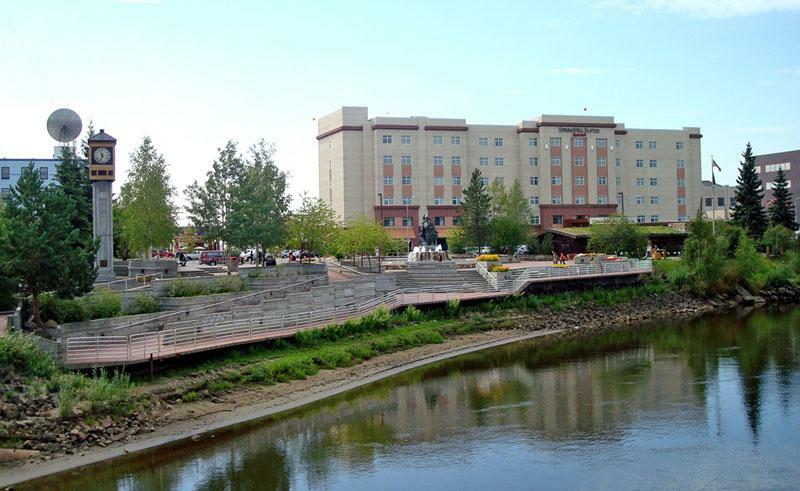 A 140 room modern hotel in the heart of historic downtown Fairbanks, the Marriott Springhill Suites sits across from the idyllic Chena River. Located near many of the city’s attractions, including the Santa Claus House and the Fairbanks Ice Museum, the Marriott is well situated for exploring the area’s shops, museums, restaurants and other entertainment. Lavelle’s Bistro, found in the hotel itself, is one of the best Italian restaurants in town and is the perfect place to unwind over your meal with a glass of wine. There is also a pool and fitness room on site, free parking and a courtesy rail and airport shuttle. Each suite is stylishly furnished with a private bathroom, free wifi, hairdryer, microwave, mini-fridge and coffee maker.